School of Nursing and Midwifery (UHAS) Das College ist eine Schule, quasi Fakultät, an der Universität of Health and Allied Science (UHAS) in Ho in der Volta Region und offizieller HITA-Partner. Im Rahmen der Horizion 2020 Ausschreibung arbeitet die School an zwei Pilotprojekten mit. Die Schule besteht aus drei Departments: Nursing (medizinische Assistenz), Midwifery (Geburtshilfe) und Public Health Nursing (Krankenpflege), an denen studiert werden kann und die Abschlüsse Bachelor of Nursing, Bachelor of Midwifery, Bachelor of Public Health Nursing und Bachelor of Mental Health Nursing erworben werden können. University of Health and Allied Sciences (UHAS) Die Universität in Ho in der Volta Region ist offizieller HITA-Partner und arbeitet im Rahmen der Horizon 2020 Ausschreibung mit HITA an zwei Pilotprojekten. Die University of Health and Allied Sciences wurde durch einen Parlamentsbeschluss als öffentliche Universität in Ghana gegründet (ACT 828 vom Dezember 2011). Der Hauptcampus und die Administration befinden sich in Ho. Ein zweiter Campus befindet sich in Hohoe. Weitere Informationen auf der Profilseite. 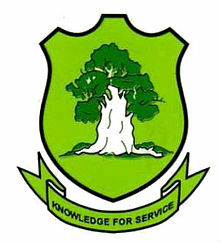 University for Development Studies Tamale (UDS). Established in May 1992 by the Government of Ghana to “blend the academic world with that of the community in order to provide constructive interaction between the two for the total development of Northern Ghana, in particular, and the country as a whole” (PNDC Law 279, Section 279). The Jirapa Nursing/Midwifery Training College in the Upper West Region was established in 1952 and added up in 1954 by the Franciscan Missionaries of Mary, a catholic congregation spearheaded by Reverend Sister Cyprian Mary Swales, a professionally experienced nurse-midwife. The mission is to provide high quality healthcare in the most effective/efficient and innovative manner, specific to the needs of the communities we serve and at all times acknowledging the dignity of the patient. The school currently has 840 students, 27 tutors; one computer laboratory and 21 computers. The school is taking part as a HITA partner for the Horizon 2020 proposal.